My cervical dystonia story began in 2010. The symptoms came on fast and furious in August that year, just after I had decided to try to bring son with Down Syndrome home to homeschool him. My symptoms began with a distressing pain in the neck (really!) followed by involuntary twisting that I couldn’t control. Shortly after, the head tremors started and I started to look like I had Parkinson’s disease. I lost some of my equilibrium and the panic started to rise as I had no idea what was going on. Muscle spasms and tightness gripped my neck and upper back. Suddenly I was mostly crippled and on my back for much of the day. I could barely cook for my family and had to homeschool from my bed. The first neurologist I saw was a disaster. He seemed to think it might be in my head and tried to prescribe antidepressants. I took the prescription but didn’t fill it. Upon doing some Internet research I saw that the number one protocol was Botox injections to calm down the muscle activity. I promptly found another neurologist. Meanwhile, I was completely crippled. I had no choice but to place Nicolas back in school as his safety was an issue. We applied for emergency respite services from the state. I had to go through Walmart on a scooter and had to stop driving for about six months. The second neurologist was more professional but never wanted to use an EMG to help find the best place to inject and so the results were never very good. I was constantly cocked to the right. I was becoming horribly self conscious about my appearance and didn’t feel like leaving the house. 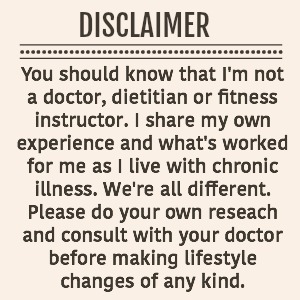 I began seeing a new doctor about a year ago, a physical medicine doctor who specializes in dystonia. He uses the EMG and I’ve had far better results with him. I began to research alternative treatments and started doing exercises from Spasmodic Torticollis Clinic at home. Then I came across a book called “Yoga for Movement Disorders, Rebuilding Strength, Balance, and Flexibility for Parkinson’s Disease and Dystonia”. As time passed, I started to see some improvement. I started using a DVD called “Viniyoga Therapy for the Upper Back, Neck & Shoulders”. Encouraged by my diminishing pain and better posture, I kept going with it. One day in my local Barnes and Noble I noticed a book called “Holy Yoga” by Brooke Boon. I loved the Christian perspective and began doing yoga to praise and worship music in the morning. Getting a Dystonia diagnosis is the most devastating thing to happen to me as a special needs mom. I often feel like I’m not the same parent to my younger kids as I was to the older as my activities are more restricted. However, I have regained a lot of function and mobility. Here are a few ways that I manage this disorder. Faith: Where would I be without my faith in God? It’s my light in a dark place, my hope and my strength. Even in the depths of my pain and anxiety, He’s always there. Physical Activity: When I started looking at people who were living positive lives with dystonia I noticed they all had one thing in common…they kept physically active. For me, that’s a combination of PT exercises, yoga, aromatherapy, water exercises, and some walking as I’m able. 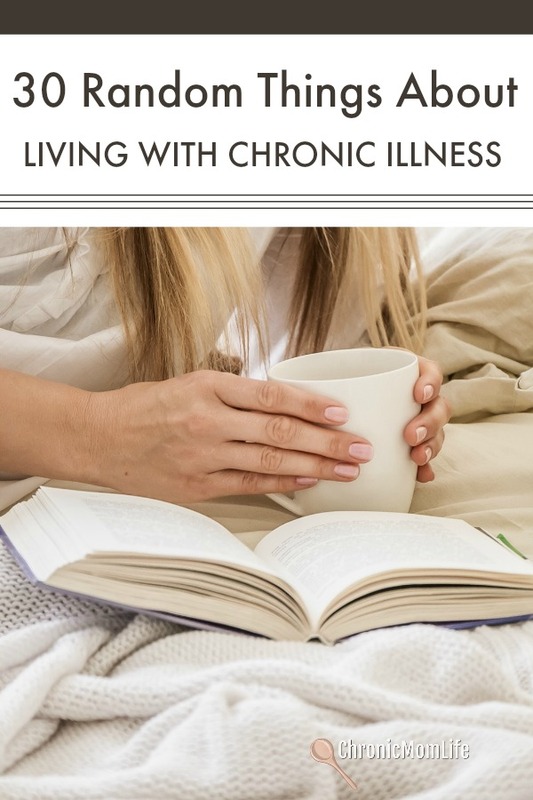 I’ve been living with the cervical dystonia diagnosis since 2010. Stress Management: I’ve had to learn to manage stress better as too much of it makes my symptoms worse. Here’s an article I wrote for 5 Minutes for Moms about how I manage stress. Nutrition: Unfortunately this has been hit or miss for me but I do feel better when I follow an anti-inflammatory diet (Paleo) and stay away from sugar and wheat. Xeomin and muscle relaxers. There isn’t any getting around this. I hate to do it but it’s a necessary evil at times. Every three months I get injected with 400 units of Xeomin directly into my neck and shoulder muscles. It helps calm down the muscle activity and keeps the tremors away most of the time. I use muscle relaxers very sparingly, only when I need them. I have a Pinterest board called Surviving Cervical Dystonia which has helpful tips and inspiration when I’m feeling down. I’m grateful I’ve been able to manage this with minimal meds and have regained a great deal of functionality (initially I lost my ability to drive and even sit at the computer.) Due to my cervical dystonia diagnosis I was able to get social services for my son which helps immensely. Following are a few of my personal recommendations, with the caveat that we are all affected differently and in different parts of the body. What works for me may not necessarily work for someone else. Diagnosis Dystonia – I wish this had been available when I got diagnosed, but was so happy to see it released. Tom Seaman covers every aspect of living with dystonia including coming to terms with the diagnosis and how to live with it. He’s an incredible power of example to many of us in the dystonia community. Yoga for Movement Disorders – This was the first yoga that I was able to do after being stuck on the couch for months. Chair based yoga and very gentle. Viniyoga Therapy for Upper Back, Neck & Shoulders – As I got stronger, I moved on to this video. I personally prefer videos over working out of a book. Currently, I use Yoga with Adriene which is free on YouTube. It works well for me now but may be too much for someone newly diagnosed. Know yourself and what’s best for you. For pain relief I love the heat packs from The Ferris Wheels. The above is not to be construed as medical advice. I’m just sharing what has worked for me. A couple of the links are Amazon affiliate links. It does not affect your cost, but I get a small financial benefit from recommending them. 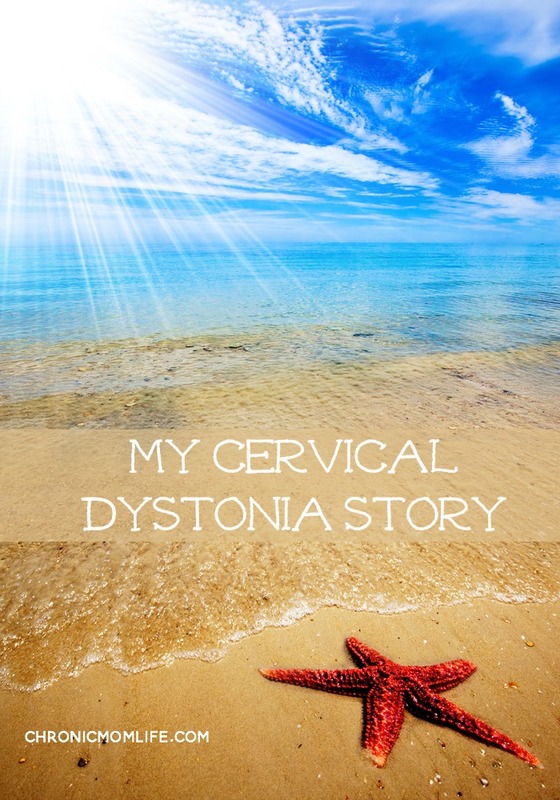 As you know, a cervical dystonia diagnosis means disability for many of us. You can certainly purchase the product without going through my link. 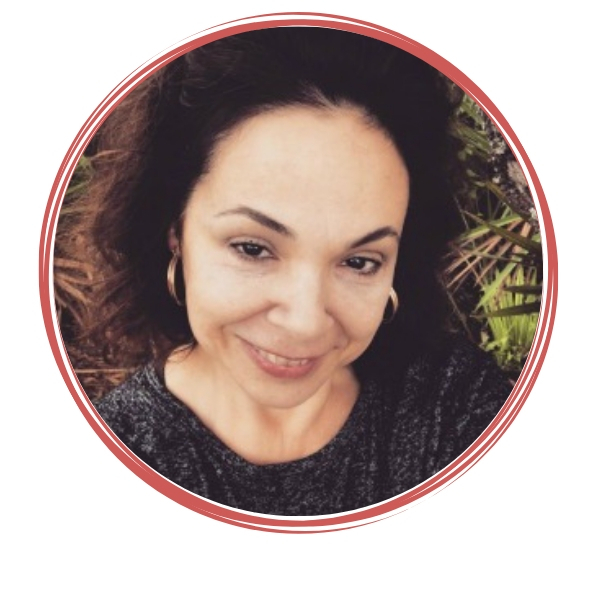 This is a very informative post, thank you for sharing your story and spreading awareness. I was not aware of this condition before connecting with you via Twitter and Blog Paws. I’m so glad we did connect, thanks to our mutual love of animals. You are a very strong lady, so happy you have found a doctor to help you. Hi. I just found your pin about how journaling helps your mental health and that brought me here because I had never heard of Dystonia. First, I’m truly sorry for your pain. I don’t have that but I’ve been getting a series of shots into the base of my skull and doing yoga every day. It does help with my issues – sometimes. I’m beginning to ramble here, sorry! I guess I just want to say I can relate to a lot of your words. I was a special needs teacher for many years- I loved it. And, I know even for the spry parent it’s not always easy. Thanks so much for visiting & for your encouragement!